An admin notice in Eventbrite Tickets prompting users to migrate their previously-imported events. 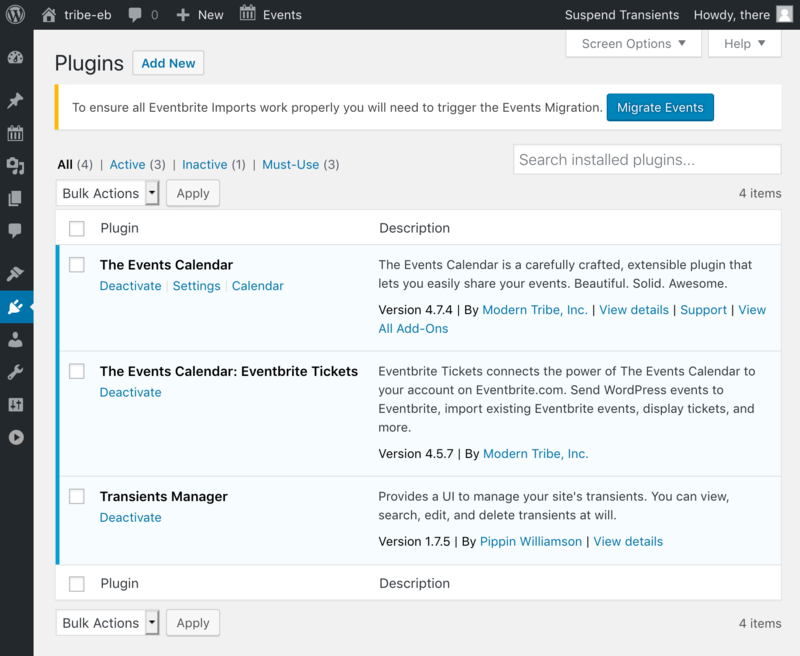 An even smaller subset of those users would sometimes encounter the following bug: After clicking the “Migrate Events” button seen above, an admin notice saying “Currently migrating events” would show up but would never go away. This extension, when activated, will clean up that notice from your admin.